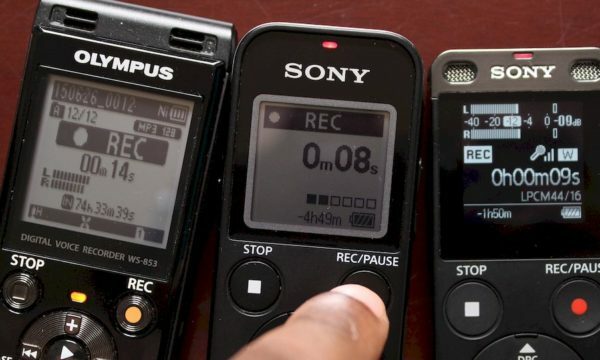 Let’s compare the Olympus TP8 versus the Sony EMC-TL3 telephone microphones. Telephone microphones are a microphone encased in a open/hollow earbud capsule. 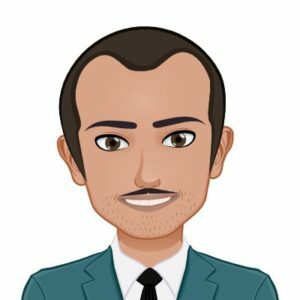 To use them, you simply plug the 3.5mm mic jack into a voice recorder, insert the earbud into your ear, dial the phone and hold it up to your ear and hit record in your voice recorder. Very easy. 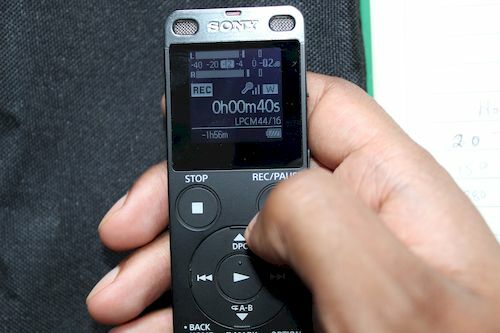 I recommend the Olympus TP8 and the Sony ICD-ux560 voice recorder as the best way to record telephone interviews. But over the last couple of months, I’ve been testing the Sony EMC-TL3 telephone microphone and compared it to the TP8. If you’re interested, here are my findings. The Olympus TP8 and the Sony EMC-TL3 telephone microphones very similar. They both come with a 5Ft cable that’s terminated, on one end, by TRS 3.5mm microphone plug. 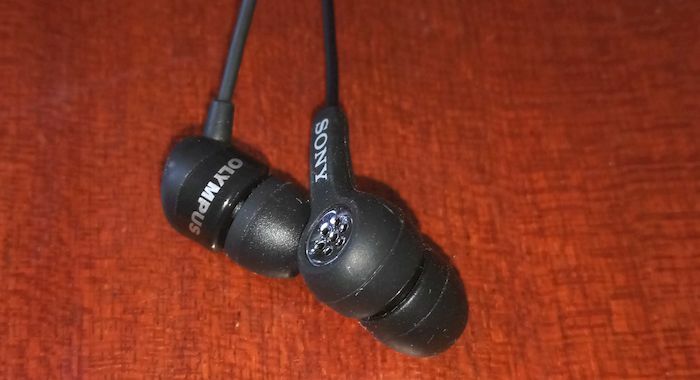 On the other end, you have electret microphones encased in a silicon rubber earbud to reduce contact noise. 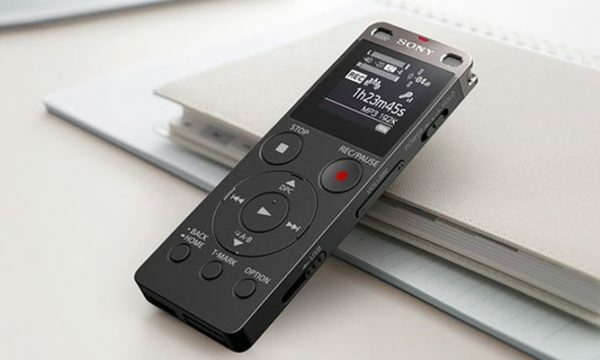 Because they are electret microphones, they require plug in power – you’ll need a voice recorder that outputs plug-in power, for instance the Sony ux560. They retail for less than $20 on Amazon! The Olympus is usually a few bucks cheaper than the Sony. The Olympus TP8 and the Sony EMC-TL3 telephone microphones have a slightly different build. The cord on the TP8 feels sturdier. Though I don’t like the termination on the 3.5mm plug and earbud – the EMC-TL3 has a much better connection to the mic plug and earbud. Been occasionally using both of them for 3 months and have had no issue with the cord detaching. However, for heavy use, I’d tape over the TP8 connections – just to be safe. 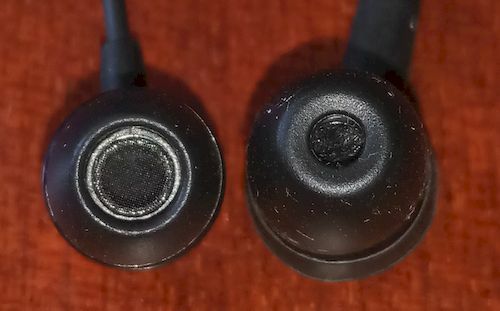 Another area where I notice a slight difference is the size of the earbud hole. As you can see in the attached image, the TP8 have a larger hole than the EMC-TL3. I thought that the difference in size would lead to more sound coming through the TP8! If there was, it was really difficult to hear. And I couldn’t come up with an objective way to test how much sound passes through the earbuds. The Olympus TP8 and the Sony EMC-TL3 had a very similar recorded sound profile. TP8 was slightly more sensitive than EMC-TL3, by about 2dB. On both microphones, had an issue with holding the phone too close to my ear, which meant that my voice sounded muffled. I learnt that I needed to hold my phone at least an inch away from my ear for the earbud to accurately capture my side of the conversation. 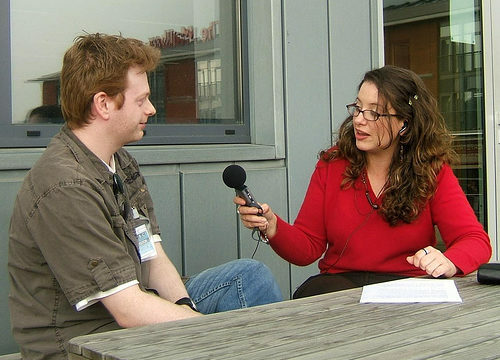 Overall, I’ve been able to record better sound using my voice recorder internal microphones and clip on microphones. Having said that, the TP8 and the EMC-TL3 record better sound than I expected and the convenience of placing the mic into your ear makes them perfect for recording all types of telephone interviews. Olympus TP8 and the Sony EMC-TL3 (Amazon link) are very similar telephone microphones! The Olympus TP8 wins it for me. It’s cheaper, more sensitive, and a better build than the Sony EMC-TL3. If you’re looking for a telephone microphone, get the Olympus TP8 telephone microphone. Buy it now from Amazon.